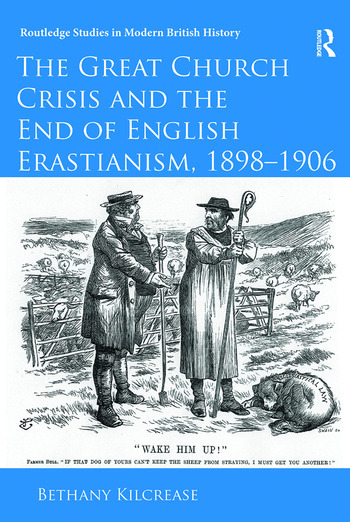 This book traces the history of the "Church Crisis", a conflict between the Protestant and Anglo-Catholic (Ritualist) parties within the Church of England between 1898 and 1906. During this period, increasing numbers of Britons embraced Anglo-Catholicism and even converted to Roman Catholicism. Consequent fears that Catholicism was undermining the "Protestant" heritage of the established church led to a moral panic. Bethany Kilcrease is an Associate Professor of History at Aquinas College in Grand Rapids, Michigan. She has written and spoken on late-Victorian Anglicanism and parliamentary politics, Protestant responses to the Boer war, anti-Catholicism in popular literature, and the role of Victorian Catholic apologists in popularizing science.